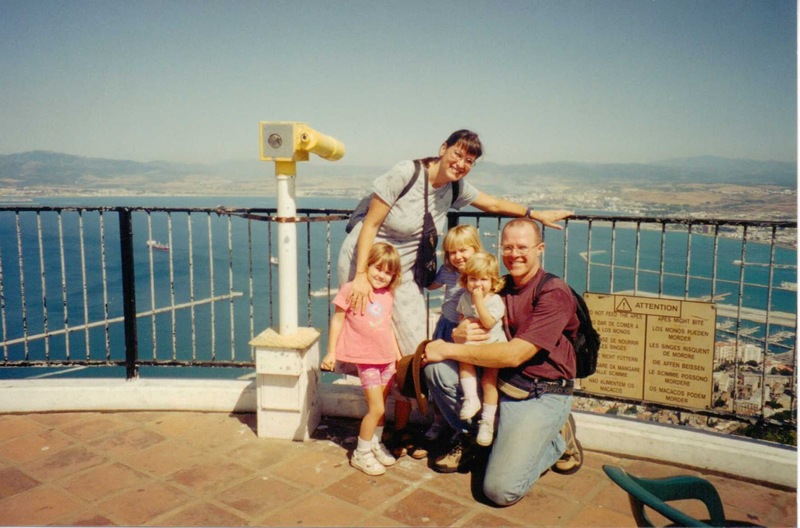 This summer, as we visited family in Portugal, we rented a car and drove to the south of Spain and to Gibraltar for a very fun week of sightseeing and exploring... As a child, my family vacationed in coastal Spain every summer, so, in a way, it was a trip down memory lane for me! It's long overdue, but here are just some of the highlights of this wonderful adventure! Sevilla is the largest city in the Andalusian region of Spain, and one that I was very anxious to share with the family... The southern part of this country has a very strong moorish influence, which is still very visible in the architectural landscape. Mijas is a very quaint white-washed village nestled in the hills of Malaga... It has passed hands from the Romans to the Visigoths to the Moors, and with its mostly car-free nature, still retains the charm of centuries past. The donkey ride was definitely an experience the kids will never forget! If you want to see luxurious yatchs, expensive cars and even a movie star or two, this is the place to go... As a family, we vacationed here when I was a teenager, and I still remember it so well! When we lived in Morocco, we took the girls here on a weekend trip. We knew chances were they would not remember much... It was wonderful to take them back 12 years later and create everlasting memories for them! Fish and chips, but of course! Granada was our last stop in our Spanish adventure, and truly left an indelible mark in our hearts. The muslim influence in Granada is still very strong, so much that in some of the older areas of the city, you may feel like you are in Morocco... Visiting the Alhambra was truly the highlight of our stay. And while we were there, Spain became soccer world champions... Unfortunately, they had beat Portugal in the semi-finals, so I was a little too bitter to participate in the celebrations! What great memories for you and your family. Those fish and chips look divine! I miss you! we've been all over europe...except for spain...up next? spain and portugal! thank you for more inspiration friend! Loved going on your adventure through your photos. Thank you for sharing! Your children MUST know how fortunate they are to be privy to all of these marvelous adventures! Thank you for sharing them with us! Hi Isabel, my name is Citra from Indonesia, this is my first time visit your blog. I found it from Pinterest. And lucky me I am here now to see your lovely family and all pics..thanks for sharing.